Well, it appears I have Liebster awards coming at me from all angles, what is it you might ask? 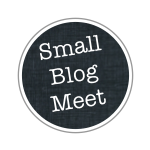 Well it's an opportunity to promote other small blogs and to tell a little about yourself. I have been nominated by 2 lovely ladies, first up was Erin at Sew At Home Mummy, I "met" Erin when she set up the Simply Solids Modern Bee and secondly by Nina at Dieting On one Leg. 1. I don't like nuts in chocolate (no sniggering Susan). 2. My favourite singer/songwriter is Prince. 3. My favourite city in the UK is Manchester. 4. I don't like sea food. 5. My daughter is named after a character in a Phillipa Gregory novel. 6. I have one foot a bit bigger than the other. 7. I don't like London. 8. My craftiness started out with cross stitch (a long, long time ago). 9. I used to be an office manager in Electronics (snore). 10. In the days of dial up, I never thought the internet could possibly catch on- it was just toooo slow. 11. I named my first dog Polly, as my friend had a dog and I really wanted one too, and obviously couldn't think of a new name! Have you ever been to a quilt convention or retreat and if so, what did you like most about it? 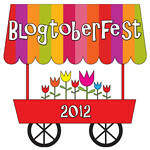 Not yet, but going this year to the Fat Quarterly Retreat, yay! Where do you think you got your "quilty" or "crafty" gene? My Mum, she was always making things when I was a kid, but more out of necessity I think. 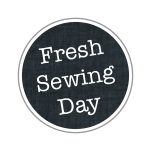 How many sewing machines do you own (and what brand(s) are they)? (and if you have a picture of "Betty" or "Violet", please, post!) A 60 year old Singer and a newer(!) Pfaff. Have you ever participated in an online/virtual Bee? Which one(s)? Yes, i've done a few, my current ones are the Pretty Little Pouch Swap on Flickr, and the Simply Solids Bee, some amazing talent and inspiration. If you had to pick one word to describe you, what would it be? Crafty!! Well, that's enough of that, so here are my nominations, i'll try my hardest to get to 11, can't promise it though! 1. What was the nicest dream you've ever had? 2. Where is your favourite place in the world? 3 What is your favourite name? 4. Red or white wine? 7. Which fruit or vegetable best describes you? 8. Most exciting thing you've ever done? 10. How did you choose your blog name? 11. What is your worst habit? In the "blog world" we can sometimes see each other as one dimensional...you are known by your quilts. So it's fun to sort of add some depth to the person behind the quilt! Thanks for your post! Great insight about you but laughing my head off at your first question for those you have nominated! 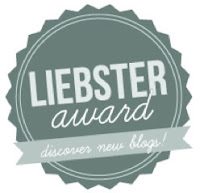 I've already had the Liebster award and here are the answers to the old questions, but I will answer yours too on my blog. Thanks for the nomination. Good to learn a bit more about you - but you don't like London?? Thanks for the nomination Ange. 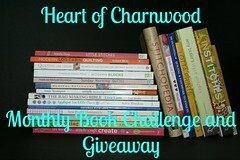 Have been MIA in blogland lately but hopefully this will get me moving! I'm definitely with you on nuts in chocolate! Yucky! Thanks for your nomination Ange, I can't believe it has taken me so long to actually come back to you and post about the award.